The TexStyle 7 Pro Steam Iron gives you the patented upward curving soleplate which guarantees 360° glideability over any fabric and any obstacle, even backwards. Due to the self-clean technology, it ensures long-lasting steam performance by simply removing the steam knob for quick and convenient cleaning. 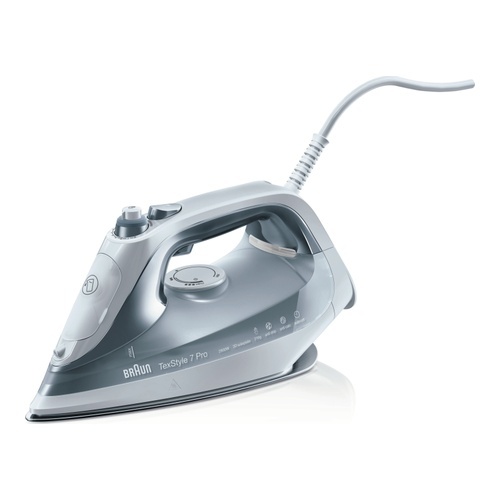 The TexStyle 7 Pro Steam Iron gives you the patented upward curving soleplate which guarantees 360° glideability over any fabric and any obstacle, even backwards.